In order to provide our customers with more transparency of their deliveries, our customers can now notify their clients when the goods are within 6km of their delivery destination. 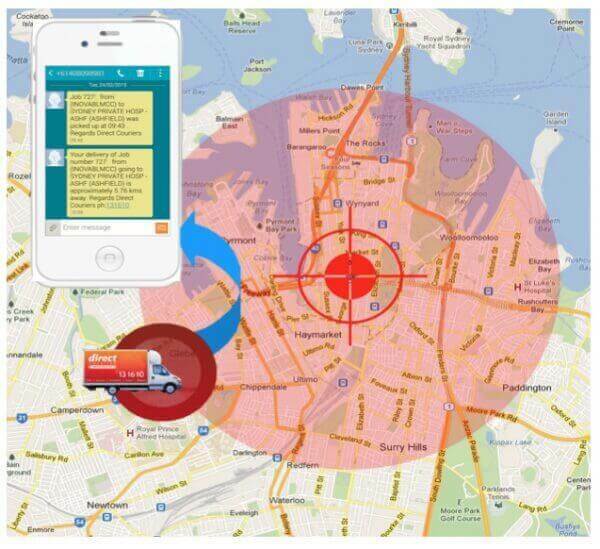 This new feature uses Geo-Fence Technology in conjunction with our driver GPS mapping to automatically send a signal when the driver hits a 6km radius of the delivery address. An SMS and/or email are then automatically sent to the provided mobile numbers and/or email addresses. The Nearby Notification function ensures your customers will always be prepared to receive and sign for their goods!